Ormer by Shaun Rankin offers understated sophistication in the heart of St Helier, Jersey. Quality extends through the décor, the ambience, and most importantly the dining. The venue delivers a restaurant, welcoming bars and choice of terrace. The menus are beautifully crafted by renowned Michelin star chef Shaun Rankin, offering an array of choices from the à la carte through to tasting menus. The ground floor houses a 50 cover restaurant, bars and 20 cover terrace for al fresco dining. The second floor delivers a stunning private dining room and bar suitable for special occasions and corporate hire. A real secret gem is the overgrown roof garden & cigar terrace, which can seat up to 25 comfortably. Shaun is a world-renowned chef and respected gourmet on the world food stage. 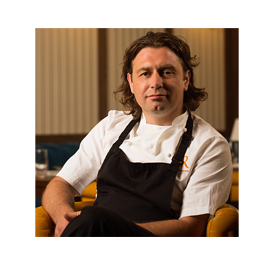 He gained his first Michelin star in 2005 for his work at Bohemia restaurant in Jersey and has spent 18 years on the Island honing the supply chain and promoting the Island’s gastronomy. 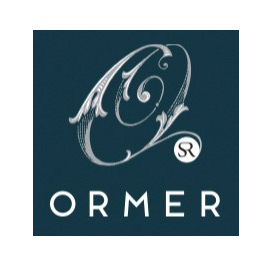 In 2013, Ormer Restaurant by Shaun Rankin received its first Michelin star, four months after opening. Shaun is well known for his winning performance on BBC Two’s Great British Menu and is a regular on Saturday Kitchen. He is ranked as “a chef at the top of his game” in the prestigious Good Food Guide. Shaun’s launched his first recipe book ‘Shaun Rankin’s Seasoned Islands’ in 2011. His recipes also feature in ‘Yes Chef!’, ‘Nigel Haworth’s Obsession’ and alongside the calibre of Michel Roux Jr and Raymond Blanc in ‘The Good Food Guide Recipes’. 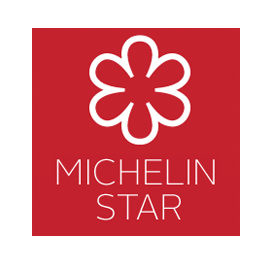 As we look to build upon our Michelin Star and 3 Rosette success we are always interested in speaking to energetic, enthusiastic and self-motivated chefs who are seeking a challenging but rewarding career in a fine dining environment. We not only offer a negotiable salary dependent upon experience but also a range of excellent employee benefits. As a dedicated Pastry Chef working in a Michelin Star kitchen you'll need to be dynamic and be able to demonstrate past successes in a similar role / environment where creating spectacular dishes and memorable dining experiences for all guests comes as second nature. If you would like to apply for the role we're currently recruiting for, or are keen to join our great kitchen team in another chef role, send a covering letter and your CV to Grace Kirby.